Minimalism is big these days. 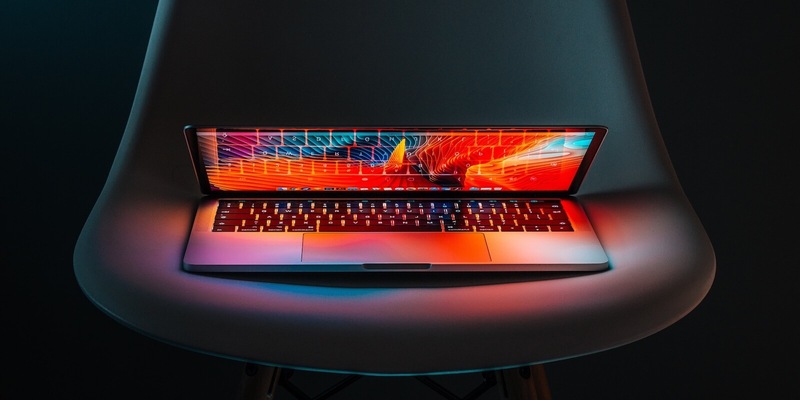 In particular, there’s a version of Minimalism called Digital Minimalism that’s quickly rising to prominence as our lives become increasingly tech-centric. Personal technology like smartphones and tablets are enabling us to spend more and more time online. And as we do, many of us are starting to feel uneasy about this persistent ‘digital creep’—that steady march of gadgets and tech into every aspect of our lives. We’re starting to feel a little unsettled by how much time we spend staring at screens. And so, we’re beginning to question the assumption that a steady stream of more and newer tech in our lives is an unqualifiedly good thing. In response to this vague sense of tech dis-ease, a lot of us are looking for a way to think differently about tech and our relationship to it. And there’s a sense that maybe this Minimalism thing is the place to start. 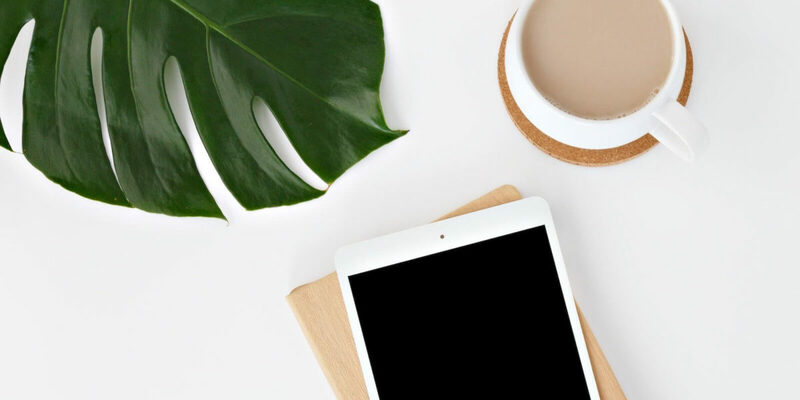 You’re probably not surprised to hear that I do think Minimalism—and in particular, Digital Minimalism—is a great way to begin building a better, healthier relationship with our technology. I wrote this article to be a brief introduction to Digital Minimalism and why it might be helpful in your life. Get my 10 best tips for getting started with Digital Minimalism when you join my weekly email newsletter. Before we get to Digital Minimalism specifically, it’s helpful to first understand Minimalism in general. The key idea is that Minimalism isn’t really about less, it’s about more. Choosing to own fewer things is simply a means of clarifying and focusing on our values so we can fill our lives with more of the things that truly matter to us. Because our stuff is often a distraction from our relationships, passions, aspirations, and the rest of our values, we need to be mindful about how much of it we let into our lives. That’s Minimalism. To learn (a little) more about Minimalism and get a real sense for what it looks like, check out this recent Netflix Documentary: Minimalism: A Documentary About the Important Things. I also wrote an article about what Minimalism means to me personally: Minimalism Terrifies Me. And That’s a Really Good Thing. Digital Minimalism is a specific application of the general minimalist philosophy to the role of technology in our lives. Just like physical stuff can be an impediment and distraction from what matters most in life, digital stuff can be as well. And as technology and the internet become an increasingly large part of our lives, their potential to distract us from what really matters grows larger every day. The Digital Minimalist movement is a direct response to this threat. It’s a call to action to take notice of and think carefully about our relationship with our technology; to be mindful and intentional about how much of our time and attention we really want to give to our technology, and what the tradeoffs of that decision are. 1. Technology use should be intentional not habitual. Because personal technology is increasingly powerful, available, and cheap, it’s highly addictive. This addictive nature of personal technology means we’re especially vulnerable to mindless and compulsive use, which is why it so easily interferes with our values and best intentions. To guard against this mindlessness, we need to cultivate an intentional mindset for our tech use. This means that we use technology on purpose, not out of habit or routine. Being intentional with our tech makes it easier to be intentional with our values and the most important things in life. 2. Technology is for making stuff not feeling better. One of the reasons it’s so easy to misuse or over use our technology is because it can be a powerful means of short-term emotional relief. When we find ourselves bored, upset, tired, anxious, sad, angry, or just about any other uncomfortable feeling, it can be a relief to reach into our pockets and instantly lose ourselves to the comfortable numbness of cat videos on YouTube or interesting blog posts on Hacker News. But short-term avoidance of emotional difficulty only leads to more consistent suffering in the long-term. The ability to so easily run away from our difficulties makes it that much more difficult to confront them when we must. As an alternative to using tech for cheap emotional relief, we ought to use tech to make stuff—important, valuable, meaningful stuff. As Cal Newport has said, “Humans, deep down, are craftsmen.” We all have a desire on some level to create and produce. From programming to poetry, we all have something to offer and give to the world, something to build. Let’s make that the primary goal for our technology. 3. Technology should never come before people. Despite the perpetual promise of the internet and social media to make us more connected, personal technology is all too often a source of isolation and disconnect from other people in our lives. How many tiny, glorious moments of my daughter’s life have I missed because I was checking how well a recent tweet did? How many fascinating conversations and relationships have I missed out on because I instantly pop in headphones and put on a podcast the minute I sit down in my seat on a plane or bus? How many family gathering are ruined by ridiculous Facebook posts? This constant reminder to put people before tech is arguably the most important aspect of Digital Minimalism. Should I become a Digital Minimalist? What would that even look like? If we define Digital Minimalism as a philosophy that helps us question which technology really adds value to our life and which doesn’t, it sure seems like we could all benefit from that, right? Couldn’t everybody benefit from thinking a little more carefully about which aspects of their personal technology use add to and subtract from their life? In general, yes—I think everyone should become a Digital Minimalist. But that doesn’t mean you have to start using a flip phone again. Or that you need to delete Facebook and all your other social media right now. 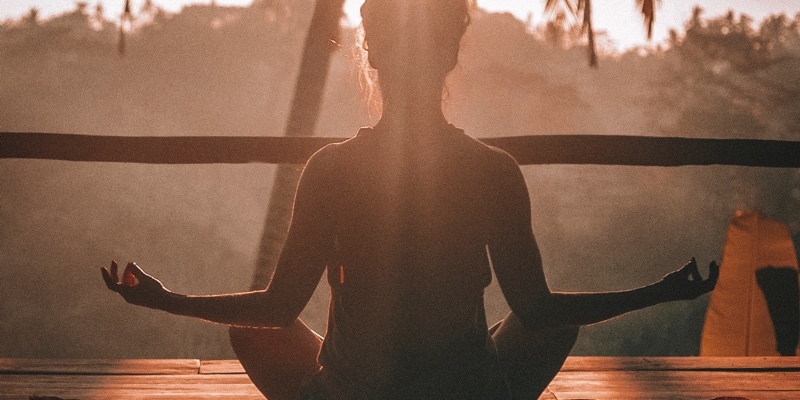 Do you value being physically active but often find yourself binge watching Netflix in the the middle of the day instead of going for a hike or bike ride? Do you value staying in touch with old friends but find yourself listening to hours of podcasts per week and not picking up the phone to give them a call? Do you find yourself checking your email or texts during meals or in meetings rather than being engaged and attentive to what’s happening in the moment? Do you find yourself repeatedly procrastinating on your work, getting lost in a stream of blog posts, social feeds, and online videos rather than making progress on that side project or hobby you’ve wanted to get started on forever? Situations like these might be an indicator that your use of technology is getting in the way of rather than supporting your best values and goals. And if that’s the case, it could be valuable to take the idea of Digital Minimalism a little more seriously. Leave your phone in the car when you run errands or go to appointments. Commit to one morning or afternoon per weekend where you don’t use technology at all. Go for a lunch break without your phone or tablet. Set aside one evening per week where you don’t watch TV at all, and instead, play a board game or call an old friend. Go for a long walk, run, or bike ride without headphones. For one week, delete your social media apps and email from your phone, only allowing yourself to check them through a web browser on a computer. Don’t read the news online for a week. Buy a newspaper each morning if you want to stay up to date daily. Be genuinely social on social media—instead of just mindlessly consuming people’s posts, send the author of an interesting article an email and ask a question or just let them know how much your enjoyed their piece. Try to navigate to a new place without using a maps app. Instead of sending someone a Snap or text, go buy a postcard and send them that with one or two sentences on the back. By deliberately removing bits of technology use in small ways, we begin to clarify which pieces are genuinely valuable and which are not. Let me end by stating as clearly as I can that Digital Minimalism isn’t a rejection of technology and all of it’s amazing benefits and advantages; it’s about being intentional with our use of technology so that it helps us rather than hinders us from living the kind of life that we aspire to. And if you want to take a peek at some slightly more intense ideas for living out Digital Minimalism, check out my 30-Day Digital Declutter Experiment that I did in January 2018, or The Summer of Digital Minimalism that I’m getting ready to embark on. I had not a clue what digital minimalism was you defined it clearly and made me think. A super article. Awe, thanks so much, Ellen! Glag it was useful! could well be used as an approach to dealing with problems across the board from climate change to politics. 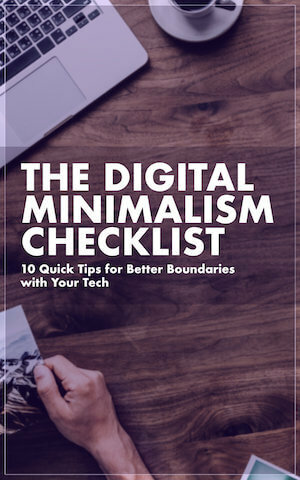 I really like that you mentioned several times in different places in the article that digital minimalism is about purposeful and intentional use of technology. Knowing that building (good or bad) habits starts small, I appreciate that you provided some exercises to try out. I am ready to test the water and make my life a little less noisy. Thank you again! Yeah, in some ways I think the word “intentional” is the most important idea in the whole piece. Thank you, Pablo! Glad it helped! !